Imagine this...Everyone in your party takes a break from their cell phones and comes together as one to have the times of their lives with a fun, group event on the beach! Sounds great, right? Well, it's difficult - maybe even sometimes awkward - to organize on your own but that's where we come in. 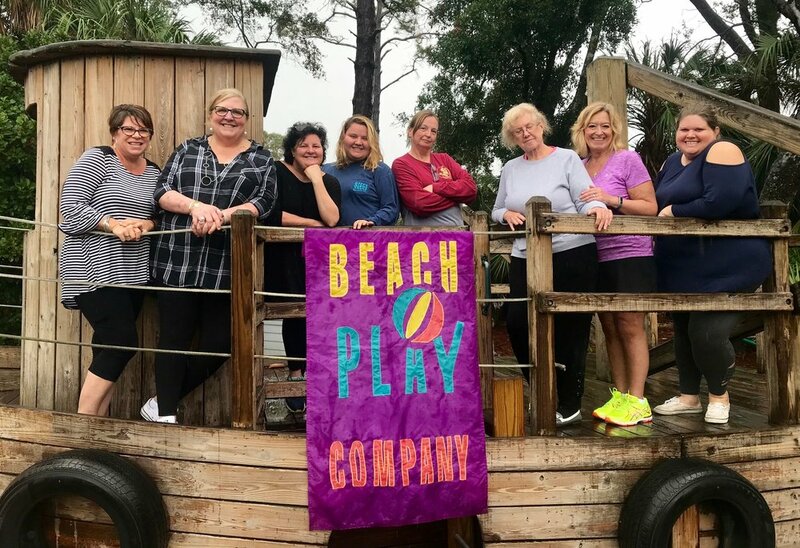 We are Beach Play Company! We specialize in Beach Parties! While groups of 12-24 are perfect, we will customize your beach party to suit your special needs and requests. Let us take care of the details and while you and your family enjoy yourselves and create unforgettable memories. Because your vacation means so much to you, it’s everything to us. To truly experience Hilton Head and all the fun, unforgettable things it has to offer, call Coach Ken today. Let the games, and memory making, begin! ASK KEN ABOUT OUR CUSTOMIZED TWO (2) HOUR BEACH PARTY!! "Thanks for an awesome team bonding experience on the beach!" "“What a great day playing on the beach with Beach Play!!!! "Best team building experience ever!" What to do?? Call Ken! Meet Ken, our founder, and chief playmaker. Ken Weisner was born in Atlantic City, New Jersey and has called Hilton Head Island home for over 35 years. Ken played college soccer at Francis Marion University in Florence, SC. and holds “D” license with the United Soccer Coaches Association. Coach Ken’s has worked as a bartender, a personal trainer, a director of sales and business development, a motivational speaker, a corporate team building facilitator, a club soccer coach, a high school soccer coach and as is currently a youth leader for his church. A devoted father of two grown daughters, Ken knows the value of family and fun. breath-taking views, and the endless rolling waves on the Atlantic Ocean. Providing the equipment, guidance and coaching that your family or group needs to have maximum fun for a few hours on the beach is where we come in. What sets a company apart from its competitors? Often it has less to do with product than the human elements that drive and support service: a company’s culture, character, customer practices, and capacity to be flexible, respond and change. Our team-building programs consists of non-traditional games, warm-ups, trust activities and group problem-solving initiatives. We focus on creating an environment where individuals see directly that they can achieve quicker and better results by pooling skills, sharing information and working closely together. The team skills targeted and strengthened include communication, active listening, feedback, conflict management, risk-taking, effective support and decision-making, as well as identifying behaviors that can undermine effective team performance. You simply play, you interact, you share and you trust. Games become key for unlocking closed minds, stimulating fresh thinking, encouraging meaningful dialogue, triggering learning that is transferable to the workplace. Participants are removed from familiar work surroundings and presented with challenges where participants know neither what to expect nor what to expect of them, they are free to simply participate. The experiences then hold up a mirror to reflect back information on personal styles, modes of interaction, options, choices and potential. The results are often jolting, usually surprising and sometimes transformational. Your employees will develop well-being and confidence, while enhancing leadership skills. A cohesive team is a productive team and ultimately, the knowledge they gain in our sessions will reflect positively in your customer relationships. Each program is designed to your group's particular goals, budget, location and time constraints. Create a sports experience where players can grow and develop both as athletes and as teammates. 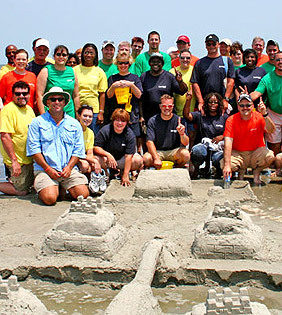 Ken’s unforgettable beach team building programs* offer fun exercises and activities specifically designed to give your team a competitive and mental edge. Coaches agree that the likelihood of winning is enhanced when teamwork, perseverance and continuous improvement are the goals of a team. It is widely known that teams whose players respect one another and understand the true notion of teamwork will consistently beat more talented but individually oriented teams. This is our mission at Beach Play Company! Are you prepared for your best season ever? 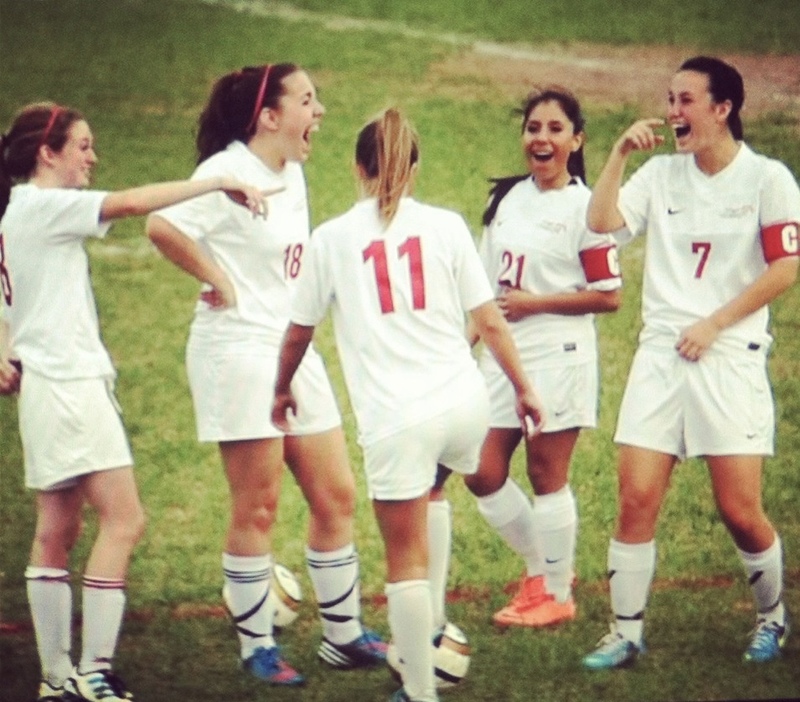 Is it time to try something that will take your team chemistry to the next level? The personal relationships needed to create strong, positive team chemistry can’t be solely built during athletics. Athletes are usually too preoccupied with drills, remembering strategy, and pushing their performance to spend time fraternizing with one another. Coaches who schedule occasional activities outside of athletics are providing time for players to connect on personal levels other than their love for the sport. Our programs subtly force interaction between players and even the coaches in order to break the surface-level relationships. As players and coaches connect on a level deeper than athletics, the team chemistry will strengthen as well. Ken has taken his extensive training and coaching experience and has developed a winning program to help encourage and develop teamwork, communication and fun into any sports team. *Each program is designed to your team's particular goals, budget, location and time constraints. What a great team building experience: fun, educational, and engaging. Thanks Ken! The Seahawk volleyball team was impressed with your activities and enthusiasm. We are a group of 10 that get together on Sunday afternoons once every two months play tennis and and have cocktails and dinner. That was 18 years ago. Fast forward to 2019 we have several members that have had shoulder replacements, knee replacements etc. Sooooo we are not playing tennis for a while. It was our turn to entertain. The host plans the activity for the afternoon. I thought scavenger hunt... The Mr. said “one has to be very clever and creative to plan a good hunt.” Enter Kenny Weisner and Beach Play Company. Kenny went above and beyond the call of duty. He organized and orchestrated and outstanding scavenger hunt. Everyone had a great time. The Mr. had his shoulder replaced 6 months ago so he is in the DL. Kenny helped me do the small tasks; such as getting the cooler and snacks to and from the site. Kenny was the key player in making the event a success not only did our guests rave about the event but the Mr. who is very difficult please was blown away. He even told Kenny he did and outstanding job. A fun time was had by all.